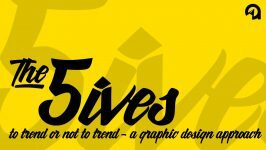 5ives: A Graphic Revolution - The Artist Makes a Comeback. From slick and refined designs to hand-drawn, collage-style art, graphic design in 2012 has gone back to the basics. Rough sketches and artisan authenticity are now preferred over glossy perfection. Designers that choose simplicity versus overworked art are leading the pack. A quick glance at the last five years will recall the trends that have painted the picture for graphic design today, and predict what is in-store for the designs of tomorrow. In the year 2007, more design risks were taken by using creative, rich colors and dark backdrops with broken borders. This blasted through the mold of light and white designs with clean lines. Graphic designers enjoyed the opportunity to literally break out of the box. Every high-texture was used from wood to paper to stone. Anything other than flat, one-tone backdrops were put into play. We saw cute cartoons and mascots taking the place of people in stock photos, along with giant icons. It was time to say goodbye. 2008 was the end of the ‘glossy revolution’ and a time of sunrays, swirls and smoky effects. Ink splatters made their way back from the 80s and into graphic design. Ornamentation was all-the-rage, with filigree patterns being used in wedding invitations to CD covers to billboard designs, and even spilling out of the edges of typography. Silhouettes were made popular by music industry moguls such as Apple. The famous iPod campaign featured dancing figures boppin’ out to music. Sketches and doodles started paving the way for the hand-drawn graphic trends that were to follow, and the word “vintage” was used to describe everything that was older than Justin Bieber. Next came the resurgence of “vintage.” From 50s diner typography to free-spirited watercolor backdrops to vibrant 80s graphics, designers in 2009 revived everything the masses considered “retro.” Again, handwritten type was favored over standard fonts. To stand out from the (Brat) pack, white space was emphasized more than ever and huge illustrations were popular. Social media button designs were getting more attention as they became the most recognizable piece of branding seen by consumers. Pop art made a resurgence in 2010 and a sense of whimsy came back into design, creating more emotional interaction with the viewer. Images and words also started to interact with each other and hold equal weight, instead of being viewed as separate design elements. Sketches and Minimalism came back in a flourish. Basically, if you could doodle, you could design. This was the year that “retro” made a statement that it was here to stay. One word campaigns were hot. This paved the way for simple, fresh color palettes and minimal messaging across all mediums, placing more focus on the graphic elements. In 2011, we saw design being led by the demands of the smartphone. Anything that worked for your Android, iPhone or iPad worked for graphic design, and 3D was king. 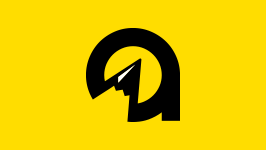 Designs became even more simplified. Simple color schemes emerged. Large photographic backgrounds helped simplify the visual effects as well. One straightforward message on a quiet backdrop created more impact than text wrapped in vines of color. Our journey brought us around the world and back to Minimalism. This style is the groundwork of design. It simplifies and cuts through the noise with tons of white space, clean type, bold shapes and limited color palettes. In 2012, bright and white is the new black. Designers today are using more handwritten type than ever before. Rough sketches and the spontaneous, caught-in-the-action look is preferred over posed photos. The artist has made a return and the pendulum swings back to hand-drawn art, doodles and ripped edges, over a polished look. Digital remains in place, to enhance the artwork and shape the design for the mass media, but for now it will have to take a backseat to simplicity. The fact that artists are once again revered for their natural skill is what most strive for at the onset of their careers. Trends come and go, so I say, let’s enjoy it while it lasts. What’s hot right now is the raw and flawed nature of the human hand. And that is truly something worth celebrating.